We are counting the days until Mother's Day, the time of year when we say thank you to mums all over the world for caring for us and making our lives special. I don't think I appreciated what my mum actually did, until I had children myself, it is hard work, tiring and emotional but oh so worth all the effort we put in. Children bring us so much joy everyday and life would be empty without them. What better way to spoil your mum than with a box of Guylian Belgian Chocolates intricately shaped seashells and sea horses with the famous stamp of artisan and a mark of quality. 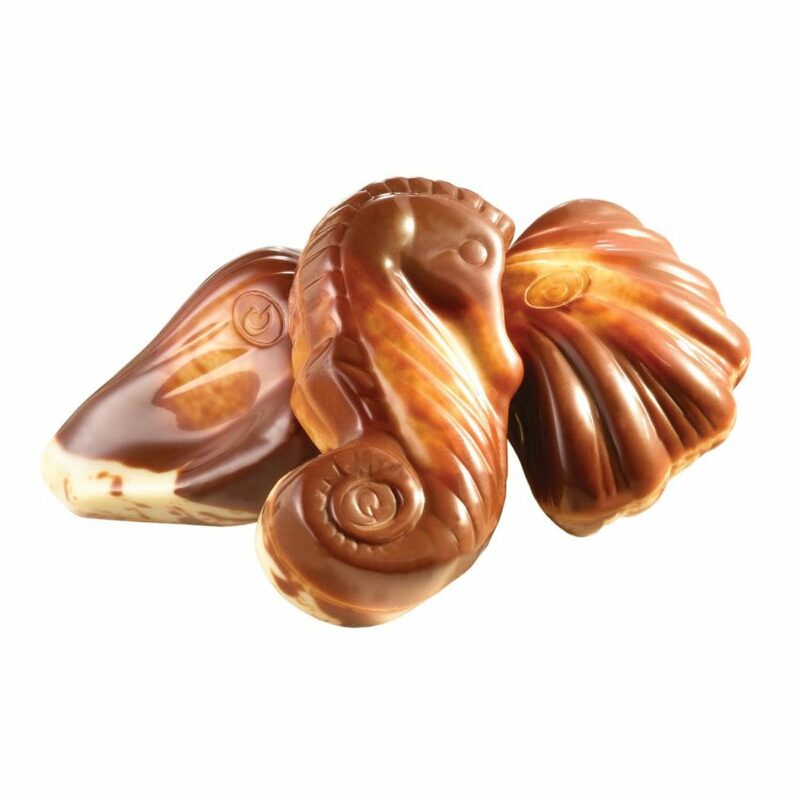 Made with the finest Belgian chocolate using cocoa beans sourced in a sustainable way they melt in your mouth in a luxurious way. The hazelnut praline filling is just perfect. These delicious shapes of gorgeous chocolate have been a favourite of mine for a number of years and my daughter also likes them so much. 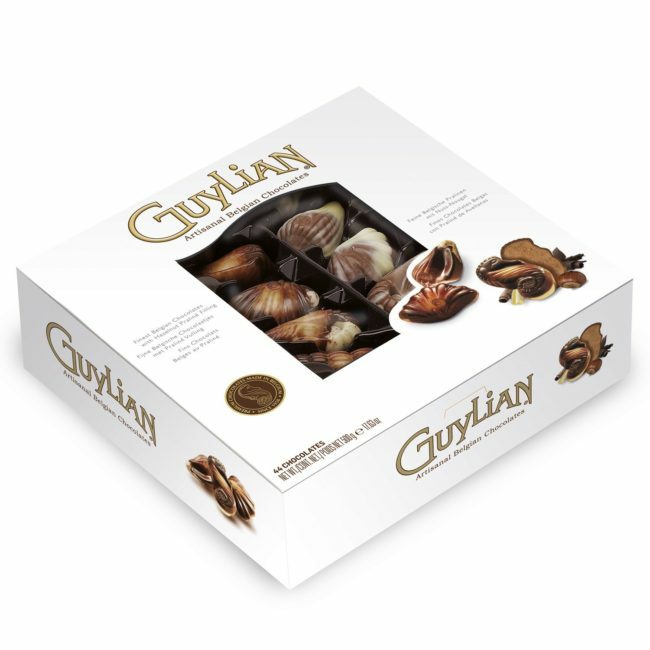 To celebrate Mother's Day this year I have a 250g box of Guylian Aritsanal Belgian Chocolates to giveaway to one lucky reader of my blog. 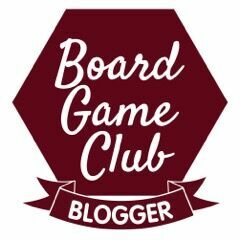 If you would like to enter the competition please complete the rafflecopter form below. I'm hoping for a lie in, followed by a nice lunch out with my family. I'll be doing the cooking. I have no current plans but it would be nice to go out for lunch. I will go and visit my mum to give her, her card and present. I'm really not sure at the moment; it's kind of crept up on me! Haven't decided yet - might have a day out with the family depending on the weather. I shall be visiting my old Mum as usual! A day out to the coast for fish and chips as she is not a flower person. No plans but i will leave the day free to enjoy at home and hopefully my family will cook for me. My dear Mum is 90 years old! So,we will spend some time with her and Dad (who is 93 next week! ) and eat cake! Relaxing whilst watching reruns of Pointless & The Chase with her! We both love those shows! I will be spending it with my mum :) we'll probably watch tv and eat chocolates! With my Mum. We usually go out for a meal, but don't think that anything has been planned for this year. Take my mum out for lunch and give her a big bunch of flowers. Taking my mother out to a party and drinking champagne! I will spend the day honoring my mom, who died a few months ago. I miss her more than I can say. I'll be spending it with my boys! Some flowers & a home made dinner probably! I haven't decided yet but I will get chocolates and a card for my mum. With my kids in the morning, then over to the mother in laws then onto my mums. Busy day. We have the grandchildren staying overnight so I expect I'll be spending the day feeding them, trying to fill up their hollow legs. Knowing my husband, doing exactly what I'd normally be doing! Looking after the kids, cooking & trying to persuade him to leave the house for a walk. I have no idea, I have 3 stepchildren, and although the youngest lives with us, she will be with her Mum, and I lost my Mum 6 years ago......the dog usually buys me a bouquet though! My mum's in hospital at the moment so not sure really. We'll have a relaxing lunch at home and a walk in the country park in the afternoon. Family plan to have Sunday Lunch with my Mum. Spending time with the family and making it special for my mum.We'll watch movies and have a nice afternoon tea with a sandwich platter and little cakes.Might even go off to the farm later in the afternoon to watch the baby lambs being born too as that's always a lovely thing to do. I'll take some flowers to my mum, and maybe stay for lunch. I don't know what's in store for me yet! But I'll definitely be spending some time over at my mums bungalow with her. We will be having Sunday dinner at my Mum's. I haven't even thought about it and in fact unless I google it I don't even know when it is. We spend the day with the kids cooking a meal for my mum and mother in law. Taking my mum for afternoon tea. I'll be spoiling my Mum and my Nanna. Probably doing absolutely nothing. Why should it be different from any other Sunday? Pizza for four adult and 7 kids, what could go wrong? No big plans, I'll probably bake a cake for my guys. At the spa with my Mum! A visit to my mum and then home to spend the rest of the day with my son and hubby. I hope that we shall all have lunch with the family - either at home or in the local pub. Having a lie in while my husband takes my daughter skating for a change! Visit my mother in law and take her some goodies - she can't get out these days, so we can't take her for a meal, like we used to. To a nice restraunt with my mother. I will be spending my day working for the wonderful NHS. I finish at 3pm will cycle home and then go and visit my mum for a cup of tea and wish her a very Happy Mother's Day with chocolates, flowers and a subscription for her favourite magazine. Me and my son will be pampering my wife. A lovely family home cooked lunch. I'm taking my mum out for lunch. I haven't decided where yet but I'm going to make sure it's somewhere she hasn't been before! With all my girls, just relaxing at home. Being spoilt, I hope !! This year Mothers day falls on the same day as my Mums birthday, so we're going to celebrate with a family meal. I am going to take my mum out for a meal.